^ Henry, William (1911). "Water Polo". 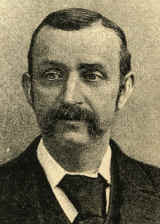 In Chisholm, Hugh (ed.). Encyclopædia Britannica. 28 (11th ed.). Cambridge University Press. pp. 384–385. ^ Catharine Lo and Dana Edmunds (August – September 2007). "Boards & Spikes". Hana Hou! Vol. 10, No. 4. ^ "Flippa Fun in the Backyard Pool" (PDF). flippaball.com.au. p. 6. Retrieved 16 October 2018. ^ a b c "About Flippa Ball – Marist Water Polo Club". maristwaterpolo.org.nz. Retrieved 16 October 2018. ^ "Flippa Ball - Introduction". www.sporty.co.nz. Retrieved 16 October 2018. ^ a b "Flippa Ball Official Rules Pool" (PDF). flippaball.com.au. p. 6. Retrieved 16 October 2018. The Australian national water polo team represents Australia in men's international water polo competitions and is controlled by Australian Water Polo Inc. The national men's team has the nickname of "The Sharks". It is organised into the Asia/Oceania regional group. The Australian national women's water polo team represents Australia in women's international water polo competitions and is controlled by Australian Water Polo Incorporated. It is currently organised into the Asia/Oceania regional group. The National Water Polo League is the premier Australian domestic water polo competition. The men's league began in 1990 and the women's league started in 2004. Twelve clubs compete in the league, each fielding a women's and a men's team. As of 2012 five clubs are based in Sydney, two in Brisbane, and one each in Adelaide, Fremantle, Melbourne, Newcastle and Perth.The first history of the sport in Australia was launched in February 2009, under the title 'Water Warriors: Chronicle of Australian Water Polo', by Dr. Tracy Rockwell. The 592-page publication features over 1,300 images and is an in-depth reference on water polo in Australia from its very first match in 1879 to the 2008 Beijing Olympic Games. An updated edition is being planned. The European Water Polo Championship is a sport competition for national water polo teams, currently held biannually and organized by the Ligue Européenne de Natation (LEN), the governing European aquatics federation. There are both men's and women's competitions. 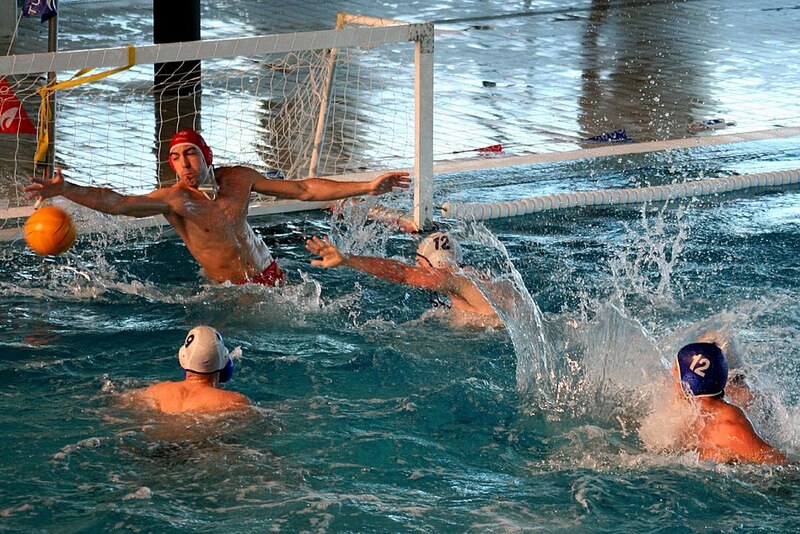 The first European Water Polo Championship was held in 1926 in Budapest, Hungary, with just a men's competition. The women for the first time competed in 1985 (Oslo, Norway) for the European title. The water polo tournament was part of the European Aquatics Championships up to and including 1997, and from 1999 the event was separated and got its own independent tournament. The FINA Men's Water Polo World Cup is an international water polo tournament, organized by FINA and featuring eight men's national teams. It was established in 1979, initially taking place on odd years. Since 2002 it is held every four years, in the even-year between Olympics. The FINA Water Polo World League is an international water polo league organized by FINA, which plays annually, typically from winter through to June. League play features continental tournaments for men and women, from which the top teams emerge to play in the championship tournament (the "Super Final") where the league champion team is crowned. Men's league play began in 2002, to capitalize on increased worldwide popularity of water polo created by the 2000 Olympic Games, especially in Europe, North America and Australia. The women’s league was added in 2004, based on growing interest in women's play. The Germany national water polo team represents Germany in international men's water polo competitions and friendly matches. It was named Germany's Sportsteam of the Year in 1981. The Hungary men's national water polo team represents Hungary in international men's water polo competitions and is controlled by the Hungarian Water Polo Association. They are considered the world's top power in the history of water polo, having won 15 Olympic, 11 World Championship, 10 FINA World Cup , 8 FINA World League, 24 European Championship and 16 Summer Universiade medals in total of 84. The LEN Champions League is the top-tier European professional water polo club competition with teams from up to 18 different countries. It is organized by the Ligue Européenne de Natation. The competition started in 1963 as Champions Cup. A change of name and format occurred in 1996, with the competition being renamed Champions League and the final four system being established as the format of choice, for the first time during the 1996–97 LEN Champions League. From 2003 to 2011 the competition was named LEN Euroleague (with the change of name being simply a re-branding) and from 2011 and on LEN Champions League, its current name. LEN Champions League is the most popular water polo league in the European continent. It has been won by 24 different clubs, 10 of which have won the title more than once. The most successful club in the competition is Pro Recco, with eight titles. The current European champion is Olympiacos, who secured their second title after defeating Pro Recco in the 2017–18 LEN Champions League Final in Genoa. The Loyola Marymount Lions are the athletic teams that represent Loyola Marymount University, a Jesuit institution in Los Angeles, California. The school competes in NCAA Division I and the West Coast Conference. The NCAA Men's Water Polo Championship is an annual tournament to determine the national champion of NCAA men's collegiate water polo. It has been held every year since 1969. With a limited number of NCAA water polo programs at the national level, all men's teams, whether from Division I, Division II, or Division III, are eligible to compete each year. The tournament was expanded from a four-team bracket in 2013 by adding two play-in games that are contested by the bottom four seeds, effectively creating a six-team bracket with a first-round bye for the top two teams. While the championship often includes teams from around the country, most programs are located within the state of California, and no school from outside California has ever surpassed third place or participated in the NCAA Men's Water Polo Championship game. The four California based PAC-12 schools have been the most successful. California is the most successful program with 14 titles, followed by UCLA with 11 titles, Stanford (10 titles), and USC (10 titles). One of these four schools has won the championship every year since 1998. The Serbia men's national water polo team represents Serbia in international water polo competitions and is controlled by the Water Polo Association of Serbia. FINA considers Serbia to be the inheritor of the records of Yugoslavia and Serbia and Montenegro. They have won gold medals in the Olympics, World and European Championships, World Cup, FINA World League, Mediterranean Games and Universiade. They are Serbia's most successful national team, having won more titles than all other Serbian national teams combined. In 2016, they became the second team after Hungary to hold titles in all five existing major championships: European Championship, World Championship, World Cup, World League and Olympic Games. The United States men's national water polo team is the representative for the United States of America in international men's water polo. The team is the only non-European squad to win medals in the water polo Olympic tournament, most recently during the 2008 Summer Olympics, where they won a silver medal after losing the final to Hungary 14–10. The United States women's national water polo team represents the United States in international women's water polo competitions and friendly matches. It is one of the leading teams in the world since the late 1990s. On March 27, 2009, USA Water Polo named Adam Krikorian the head coach of the USA Women’s National Team. Krikorian was the UCLA men's and women's water polo team head coach. Water polo at the 2008 Summer Olympics was held from 10 August to 24 August 2008 at the Ying Tung Natatorium in Beijing, People's Republic of China. The water polo tournament at the 2012 Summer Olympics in London, United Kingdom was held at the London 2012 Water Polo Arena in the Olympic Park from 29 July to 12 August. The venue's capacity held 5,000 spectators. Twelve teams competed in the men's tournament and eight teams in the women's tournament. Water polo has been part of the Summer Olympics program since the second games, in 1900. A women's water polo tournament was introduced for the 2000 Summer Olympics. Hungary has been the most successful country in men's tournament, while the United States is the only team to win multiple times at the women's tournament since its introduction. Water polo at the World Aquatics Championships is an international water polo tournament held every two years as part of the FINA World Aquatics Championships. The reigning champions are Croatia in men's and the United States in women's competition.